This year's Caldecott Committee broke boundaries by including a graphic novel for young teens among their seven (7!!) books awarded honors. This selection of picture books, meaning books told with and through pictures, serves a wide range of children -- from preschoolers who will adore Dan Santat's Beekle, to teens who are the perfect audience for Jillian and Mariko Tamaki's graphic novel This One Summer. Before I get any further, if you're considering This One Summer for your child, please learn about it before you order it. I genuinely recommend this for kids who are 13 and 14, but not for elementary students. Skip down to the end if you're specifically looking for information about this book. 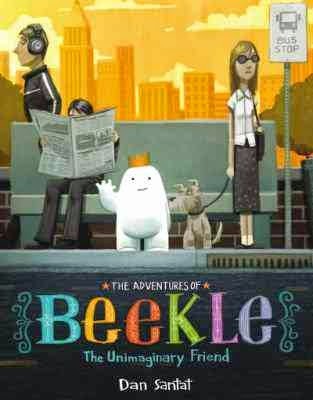 Dan Santat, the author and illustrator of Beekle: The Unimaginary Friend. This delightful story has charmed our young students at Emerson, with Santat's special message about loneliness, imagination and finding your own special, true friend. My students are huge fans of Dan Santat's and will be thrilled to see this picture book, which comes so much from Dan's heart, honored and celebrated. Dan truly captures so much of what children value in this world -- playfulness, fun and friendship with an incredible eye and vivid imagination. Perfect for preschoolers, but enjoyed by older kids as well (ages 3-9). 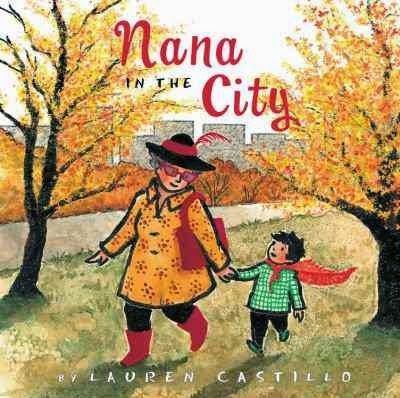 Nana in the City, by Lauren Castillo, captures the relationship between a young boy and his grandmother, as she helps him overcome his fears by listening, understanding and helping him. I especially love how his nana never scolds him, but rather emotionally comes to where this little guy is. Another truly special book, perfect for kids ages 3-6. 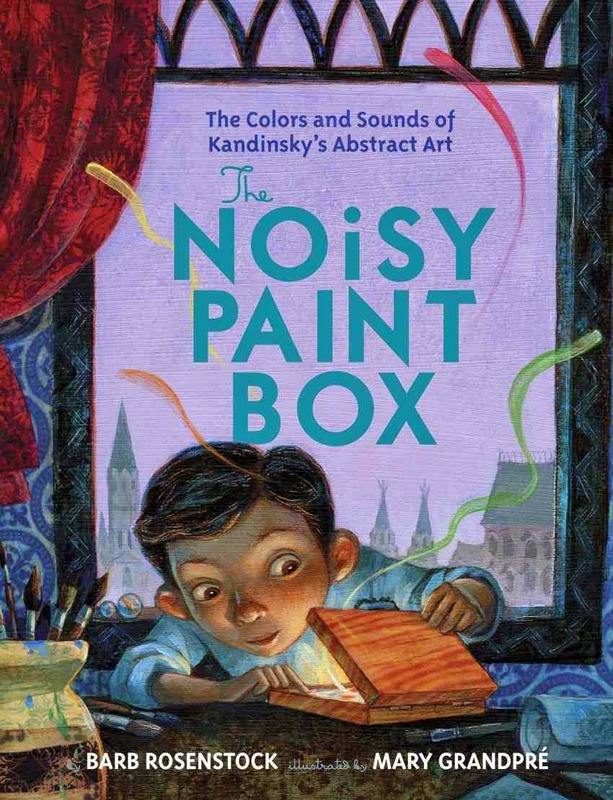 The Noisy Paint Box, illustrated by Mary GrandPré and written by Barb Rosenstock, conveys the way abstract artist Vasily Kandinsky experienced colors as sounds and sounds as colors. It's fascinating--this picture book biography didn't appeal to me right away (I brought too many grown-up questions to it), but my 5th grader found it fascinating and the art captivating. Kandinsky listens as “swirling colors trill…like an orchestra tuning up,” and GrandPré shows him lifting his paintbrush much like a conductor. A fascinating intersection of art and music, for ages 6-10. 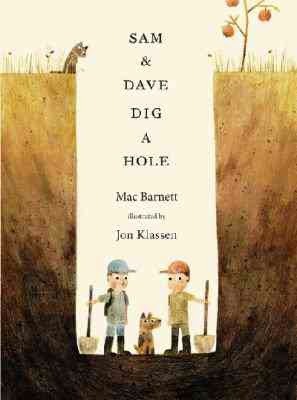 Sam and Dave Dig a Hole, illustrated by Jon Klassen and written by Mac Barnett, is another huge kid favorite at Emerson precisely because it makes kids laugh and wonder at the same time. Sam and Dave are indeed digging a whole, as you can see on the cover, and they are determined not to stop until they find "something spectacular." What I love best about it is the respect Klassen and Barnett have for kids who love to puzzle over things and think about questions that don't have easy answers, or necessarily ANY answers. They're totally comfortable with that uncertainty, something grownups often forget. Kids from 4 to 10 have loved this. 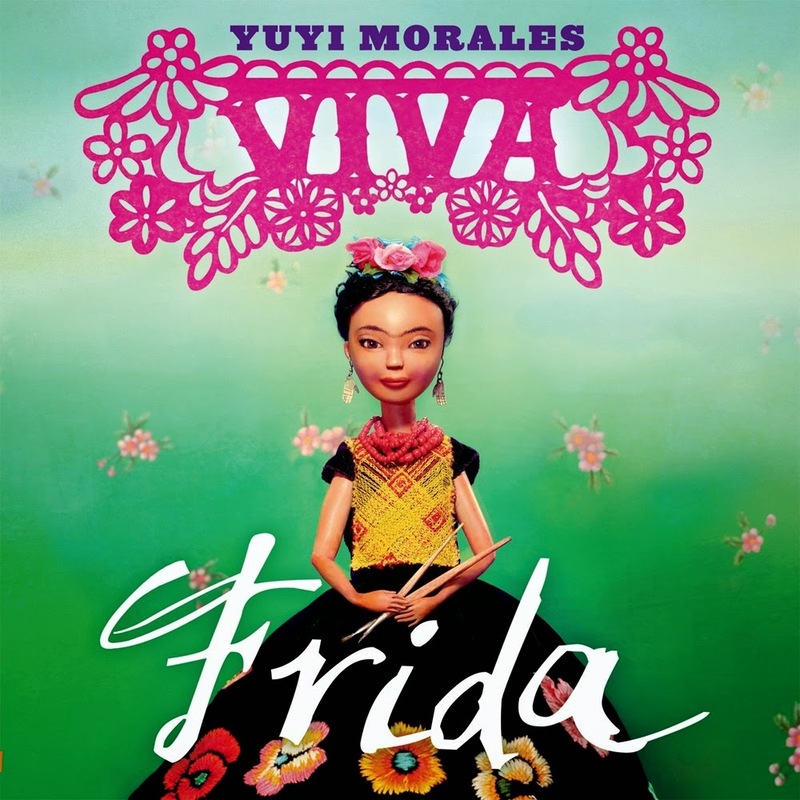 Viva Frida, by Yuyi Morales, made me gasp in wonder the very first time I saw it -- and it's had the same effect on children and adults alike. Just look at the colors on the cover -- but then open, and you enter the dreamlike world that Morales creates, combining handmade puppets and carefully crafted stage sets. Morales conveys a sense of an artists' world, and how one artist infuses another artists' dreams and spirit. While this isn't a biography at all, it is an incredible testament to the artistic spirit that appeals to the very young as well as older readers who can put it into more context (ages 3-12). 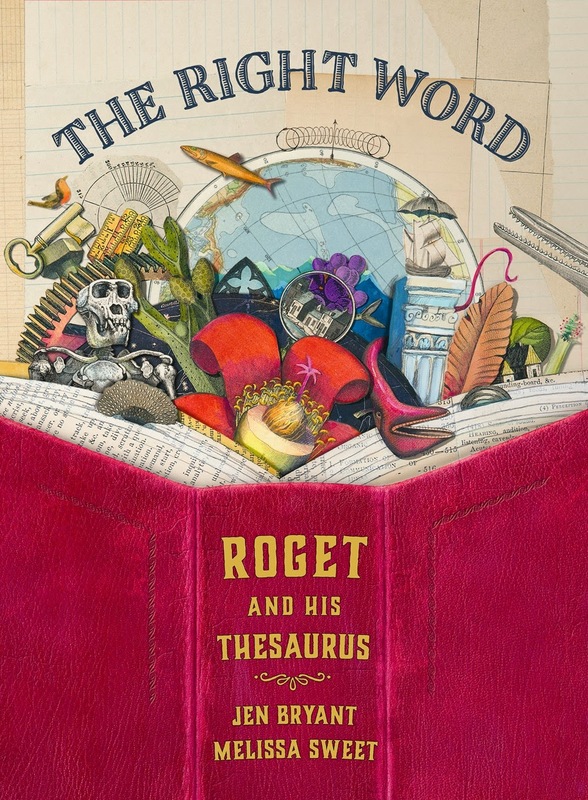 The Right Word: Roget and His Thesaurus, illustrated by Melissa Sweet and written by Jen Bryant. I adore this utterly splendid book that tells the life of Peter Roget and the creation of his thesaurus. Sweet uses playful illustrations to draw children into young Peter's life, showing them how he loved lists of words and discovered that words had power, especially when gathered together and organized in interesting ways. This is a book children will enjoy pouring over again and again, noticing more details each time. I particularly love showing kids (ages 6-10) the ways science, language and art intersect. 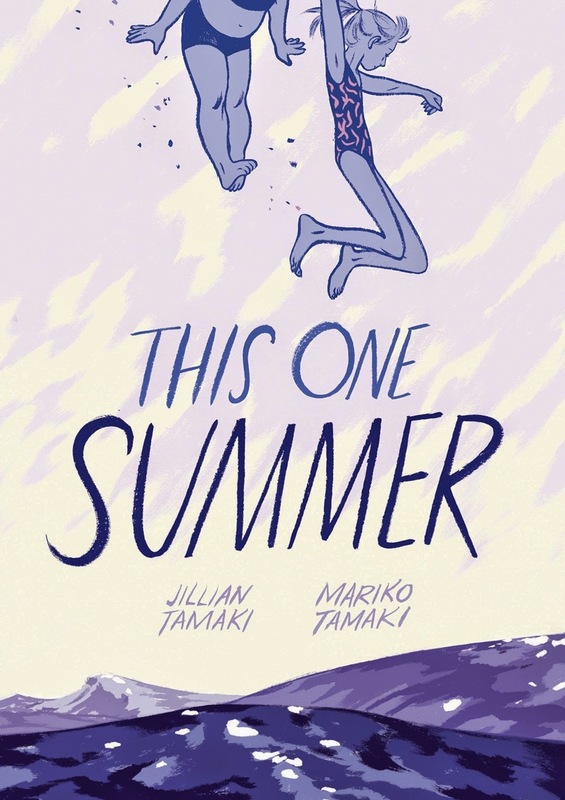 This One Summer, illustrated by Jillian Tamaki and written by Mariko Tamaki. This fantastic graphic novel eloquently captures young teens on the cusp of adolescence, as they spend the summer together. For the first time, the Caldecott Committee said, YES, the illustrations in a graphic novel is a true form of art, one that is vitally essential to the story. It is utterly ground-breaking and I am so happy. This book speaks to young teens about the way friendships change as they enter the murky waters of adolescence. Rose is so happy to spend the summer once again with her friend Windy, but she rejects many of their past activities as too childish and yearns to mimic the older teens in this beach town. I like the way Kirkus sums it up: "The realistic dialogue and sensitive first-person narration convey Rose’s naïveté and confusion, and Windy’s comfort in her own skin contrasts with Rose’s uncertainty." Teen pregnancy, gossip and a parent's depression all wind their way through this story. I've found it speaks well to young teens, ages 13-15. Please seek out and share these books with kids in your life. They are each truly special. Early review copies were kindly sent by the publishers Little, Brown, Random House, Candlewick, Houghton Mifflin Harcourt, Macmillan and Eerdmans. We have purchased additional copies for our school library and classrooms, and we will continue purchasing more for gifts. If you make a purchase using the Amazon links on this site, a small portion goes to Great Kid Books. Thank you for your support.